Yitzhak ben Zeev Diva (c. 1902-2008) was born in Baghdad to a rabbi who worked as a spice trader. Early on, he plunged into the depths of Jewish wisdom and by his teenage years was already recognized as a prodigy. In 1923, he settled in the Holy Land to bring spirituality into the secular Zionism that was flourishing in Israel. Upon arrival, he officially changed his last name to Kaduri. He continued his learning under some of the greatest rabbis of the time, particularly at Jerusalem’s famous Porat Yosef Yeshiva. Meanwhile, refusing to live on charity, he worked as a scribe and bookbinder, committing the books that he worked on to memory. It is said that he memorized the entire Talmud (over 6200 pages of dense text in some 63 volumes), together with its commentaries, along with a multitude of other works. He wrote several mystical texts of his own, which were never published, as Rav Kaduri did not want them getting into the wrong hands. 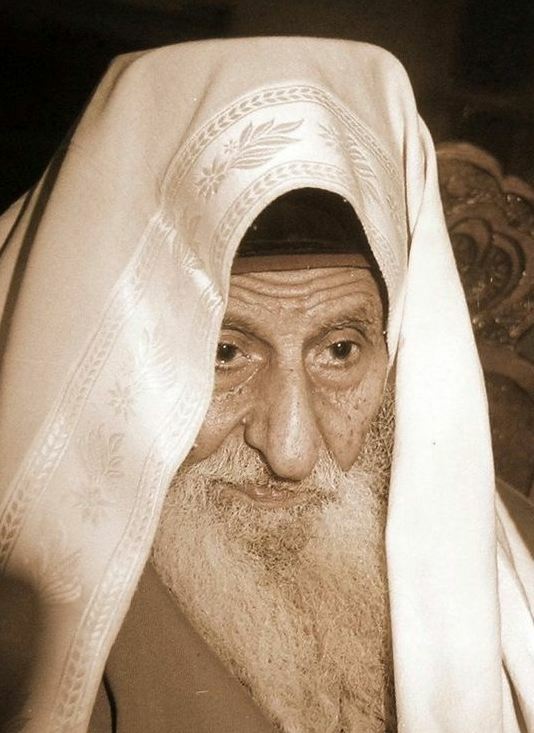 He went on to become the head mekubal (“Kabbalist”) among Israel’s rabbis. His son spearheaded the opening of Rav Kaduri’s own yeshiva – Nachalat Yitzchak – located in the Bukharian Quarter of Jerusalem next to the Rav’s home. Rav Kaduri was famous for eating very little, and speaking very little. Despite his occupation with study, his doors were always open to help others (in fact, he refused to lock the doors of his home even amidst a spate of thefts). Hundreds of people sought his advice and blessings each day, and he was known as a miracle worker and healer. At his funeral, 8 years yesterday, over 300,000 people came to pay their respects. This entry was posted in Religious Leaders and tagged Baghdad, Bookbinder, Iraqi Jews, Israel, Jerusalem, Kabbalah, Kabbalist, Kaduri, Mekubal, Mizrahi Jews, Nachalat Yitzchak, Porat Yosef Yeshiva, scribe, Sephardic Jews, Spice, Talmud, Torah, Yeshiva on January 30, 2014 by Jew of the Week.